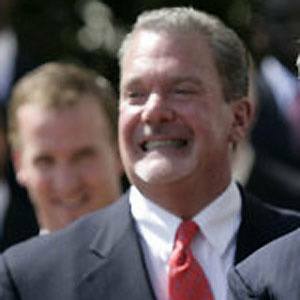 Owner and CEO of the NFL Indianapolis Colts. He studied journalism from Southern Methodist University, graduating in 1982. He purchased the original manuscript of Jack Kerouac's On The Road in 2001. He had three daughters with his wife Meg Coyle whom he married in 1980. He purchased guitars owned by Elvis Presley.